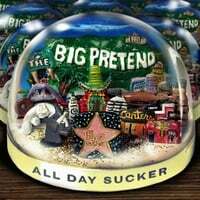 All Day Sucker-The Big Pretend. I noted these guys back in January from last year's IPO compilation, and they've now unleashed The Big Pretend, their second-full length disc. They strike me as kind of a cross between Orson, Weezer and Everclear, and have a big, radio-friendly pop sound. The disc is sort of an LA concept album, complete with an amusing 40s/50s-sounding introductory theme. The IPO teaser track, "The Picture (That Took Me)" is here, and it's the highlight, but there are several more interesting tracks including the manic pop of "Life In The Passing Lane", the quite catchy "Santa Ana", and the baroque nostalgia of "Beverly Park". A fun disc that will make you feel like you're in L.A., regardless of where you are. 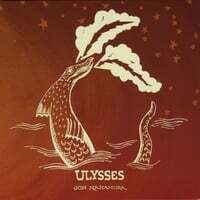 Goh Nakamura-Ulysses. Staying in the Golden State but moving up the coast, San Francisco's Goh Nakamura is quite the pleasant surprise (although this is his third disc) to discover. He's got an excellent folk-rock/pop sound that is quite Beatlesque in spots; in other words, he's like a less depressing Elliot Smith. "Somewhere" wouldn't sound out of place on a Jon Brion album; "Sarah Rose" has all the charm and melody of McCartney at his acoustic best; and the title track conjures up the denser sound that Smith had on his last two albums. Now I'm going to go back and check out his first two discs. Big Bus Dream-The Jesters of Xmas Town. Big Bus Dream is another example of Charlotte's thriving pop scene, which has brought us the likes of Jamie Hoover, James Deem, Transmission Fields, and some other high-quality artist whose name I'm likely forgetting at the moment. This is their second full-length (the debut was produced by Hoover) and they have a sophisticated pop sound that's very similar to The Eels; in fact, frontman Mike Shannon (a former CBGB's fixture) is a vocal ringer for Mr. E himself. If you start at the beginning, you'll notice this resemblance off the bat in "Another Me", and their understated folk-pop also carries some Elvis Costello and Lou Reed influence, nowhere more so than the biting "Money Trumps Everything". Other highlights include the Willie Nile-style "Tremble", the languid "Already Gone" (which has a hint of the Pernice to it), and the fiddle-friendly "Since You Left". This is one Bus you'll want to catch. I'm surprised you didn't review so far Allen Devine - Poportunity. This is one of my best discoveries of the year. Lots of jangling guitars and fantastic Beatlesque songs. Hope to see this one reviewed here soon. I really like your blog. I discovered here lots of gems. KUTGW! Just got it in the mail yesterday. Review coming soon. is a free download (128kbps)at his site. The election is upon us!